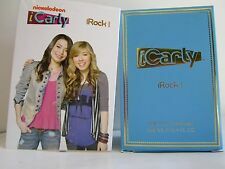 Gift set in sealed box. FULL SIZE : 3.4 OZ / 100 ML. GENDER : GIRL. Use Para Mi Bebe Baby Cologne after bathing baby, sprinkle a small amount of cologne on baby's head and hair. Its fragrance is gentle and fresh. 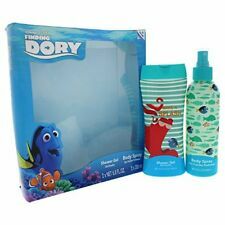 CHILDRENS GIFT SET. AGE - 3 YEARS. Disney Frozen Sweet Care Gift Set. Hand Cream 50ml. Hand Wash 150ml. 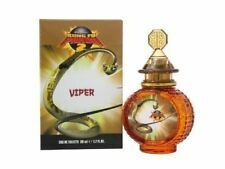 8 ml Eau de Senteur Miniatur. Der Duft kann sich eventuell durch Temperatur- und Lichteinflüsse verändern. Auf Grund dessen verweisen wir auf ein Urteil des Landgericht Köln. "free sample", or similar prints. GLASS SLIPPER. THE PRINCESSES BLUE GLASS SLIPPER. EAU DE TOILETTE. CONTAINS 30ML EAU DE TOILETTE. DISNEY PRINCESS. we will do our upmost to endeavor to resolve the issues. IN A DECORATIVE BOX. Fruits, flowers and plants. Animal friendly products - no ingredients derived from dead animals, or sourced while causing harm to animals, are used. Only animal by-products such as milk, honey, lanolin and beeswax, which are sourced without causing suffering or harm to animals, are used. Eau de Toilette da 50 ml. Stickers 3D. Batman Kids Fragrance EDT Duo Set Gift Set. 150 ML BODY WASH.
Franquin replied: “Here’s the Schtroumpf - when you are done schtroumpfi ng, schtroumpf it back” and the two spent the rest of that weekend speaking in schtroumpf language. Their first appearance was available in Spirou on October 23, 1958. 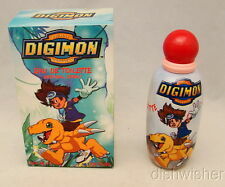 Air Val For Kids DIGIMON EAU DE TOILETTE 3.4 oz. Line: Digimon. Maker: Air Val International. Item: Eau De Toilette Spray. Size: 3.4 oz 100 ml. Condition: NEW NIB. Condition: New. Disney Princess 50ml Eau De Toilette - EDT - Ideal Gift. 1 x 50 ml bottle. Children Fragance. The tube is decorated with a picture of Elsa and Anna. Great gift for any fan of Frozen. Product Information. BABY COLOGNE 22.00 value. 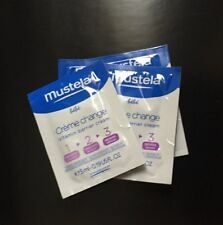 MASSAGE CREAM 22.00 value. BABY WASH 22.00 value. This system allows for you to get the longest dated and genuine products available. Lower Age Limit. Disney’s Mickey Mouse for Boys. This fragrance is designed for kids and makes for a perfect gift for your little man who enjoys everything Mickey. Do you love Disney?. Then you will love this Minnie Mouse Eau De Toilette! This is not for children under the age of 3 years. Eau De Toilette Spray 3.3 Ounces. Eau De Toilette - Natural Spray 3.4 oz. Parfüm Mädchen 20 ml. Der Duft voller Energie und einzigartige Noten. DISNEY VIOLETTA MUSIC. Parfum EDT Eau de Toilette. Ich verkaufe im Auftrag eines Kunden. Kopfnote: blumige Noten, grüne Noten, zitrische Noten. BULGARI PETITS ET MAMANS. EAU DE TOILETTE VAPORISATEUR NATURAL SPRAY. Dai un'occhiata alle mie inserzioni ! Per maggiori informazioni o richieste particolari non esitare a contattarci. Parfüm Mädchen 20 ml. Der Duft voller Energie und einzigartige Noten. DISNEY VIOLETTA PASSION. Frische Komposition Zitronen, Äpfel, Himbeeren, kombiniert mit Blüten von Rosen, Jasmin und Sandelholz. Stella by Winx Fairy for Women Eau De Toilette Spray 1.7oz. 10ml Mini Roll-On Fläschchen. NEUWARE - OVP. alle Preise inclusive der gesetzlichen. Eau De Parfum. Perfekt für Ihre Handtasch e. jeweiligen Inhaber und. Is there a Fluffy Unicorn super fan in your family?. Watch them unwrap their first fragrance this Christmas. With a scent for all ages, you’ll be sure to keep the little ones in your life happy. Body Mist 75ml. 8 x 30ml Bottles Of Monster High Eau de Toilette. Wile E. Coyote by Looney Tunes for Boys & Girls Lunch Box: EDT 1.7oz Shower Gel 2.55 oz.. SIZE: 3.4 OZ = 100 ML. 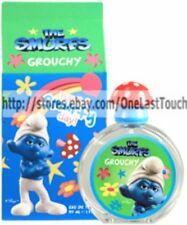 Blue Style Vanity by The Smurfs For Kids Eau De Toilette Spray 3.4oz Damaged box. 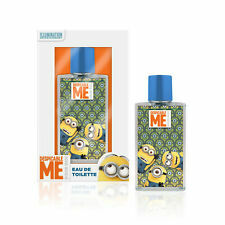 Die Minions-Eau de Toilette-Parfum 7ml, 1Stk. Partygeschirr & Besteck. Pinatas zum Schlagen. Stifte & Spitzer. Luftballons mit Motiv. Nicht geeignet für Kinder unter 3 Jahren, wegenErstickungsgefahr durch verschluckbare Kleinteile. Benutzung unterAufsicht von Erwachsenen. Snoopy 50 ml. For Female and Specially for Teenage Girls. Ideal Gift. ENJOY THE CLEAN MILD AND LONG LASTING FRAGANCE OF ROYAL VIOLETS EAU DE COLOGNE BY AGUSTIN REYES,SO CLEAN AND FRESH. IT HAS BEEN USED AS BABY COLOGNE MORE THAN 75 YEARS.SO LONG LASTING AND SOPHISTICATED IT WILL BE YOUR FAVORITE FRAGANCE LONG AFTER YOU ARE GROWN UP. Agustin Reyes Royal Violets Baby Cologne Spray with Chamomile brings the clean, mild and long lasting fragrance of Royal Violets Eau de Cologne in a convenient spray format. Specially formulated as a baby cologne with calming chamomile. Sylvester by Looney Tunes for Unisex Combo Pack: EDT Spray 3.4oz (2 x 1.7oz bottles) New In Box. 2 x Disney Princess 50ml Eau De Toilette - EDT - Ideal Gift. 2 x 50 ml bottles. Children Fragance. THE PRINCESS'S BLUE GLASS SLIPPER. GLASS SLIPPER. EAU DE TOILETTE. CONTAINS 30ML EAU DE TOILETTE. DISNEY PRINCESS. Flora by Winx Fairy for Women Eau De Toilette Spray 3.4oz. Do you love Disney?. Then you will love this Mickey Mouse Eau De Toilette! This is not for children under the age of 3 years. Eau De Toilette - Natural Spray 3.4 oz. Made in Spain. MINNIE MOUSE* 1.7 oz Natural Spray EAU DE TOILETTE Great For Kids DISNEY New!